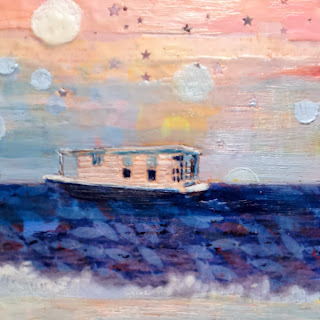 This is another encaustic painting in my "Housewarming" series where I am exploring the physical and emotional aspects of "home." Some of us live near the water, on the water or dream of a life spent at sea with only the "waves" to guide us on our journeys. You can find this piece and the rest of the series at my Etsy shop. 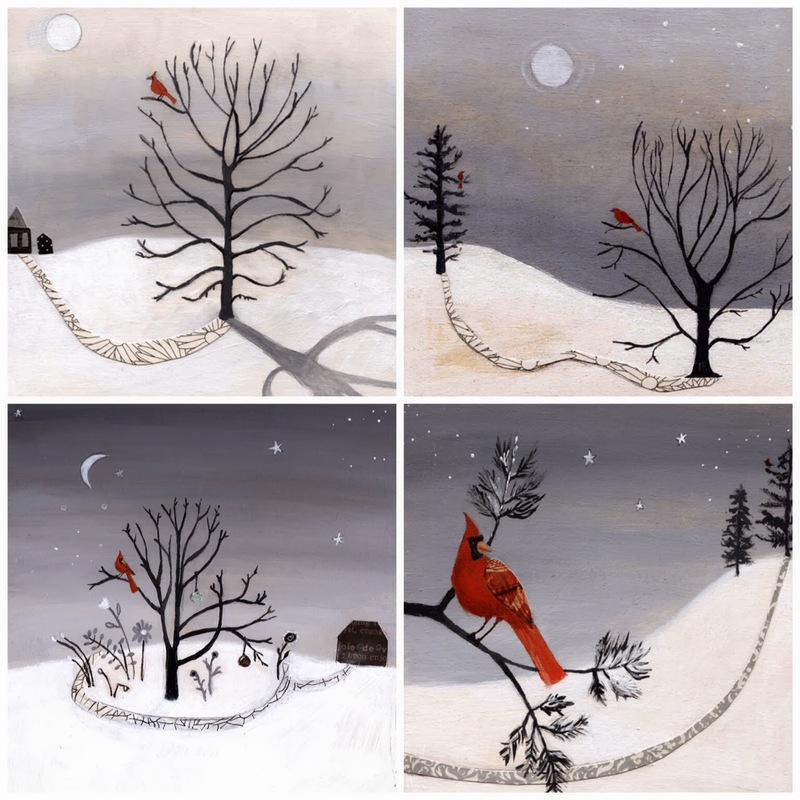 I am also offering FREE SHIPPING today and tomorrow in honor of Winter Wednesday. Black and White Series Prints on SALE today $22 Each at my Etsy shop. It snowed yesterday, and we made snowmen! It was so much fun and really got me into the winter spirit. I love that snow and barren trees -- winter's slumber as it may be -- can bring magic with it. I created this black and white series with that thought in mind. They were all created before I quit my day job and needed to wake up at 5:15 every morning to spend some time in the studio. It was cold and dark, but somehow it was also the perfect petri dish for playing with monochromatic color. There are two more paintings in the series coming soon. "You Are My Happy Place" - brand new print just added to Etsy today. Happy Winter Wednesday! I have just added this new piece to my Etsy shop, and it was inspired by a very lovely couple's anniversary (which is today!). 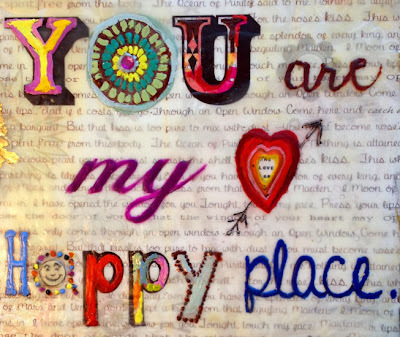 The poem behind the "you are my happy place" phrase is from Rumi, and it is very romantic. As promised, I will do a special feature on Claire's work soon to show my appreciation for the great title. Have a great winter Wednesday!